CHIAVARI, Italy - Carnival ended this week and the streets of Chiavari that were littered with confetti and globs of silly string a few days ago, have been swept and washed and are once again sparkling clean. All the princess and Barbary pirate costumes, and eye patches, have been packed away. 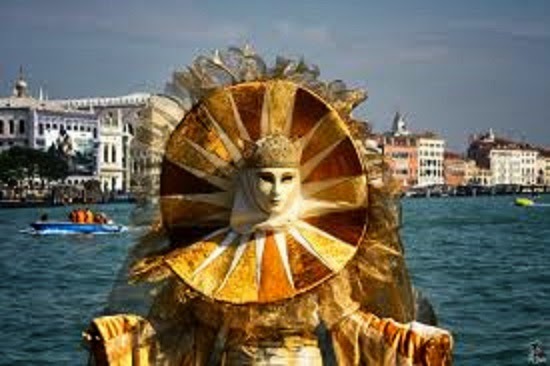 Every town has its own unique Carnival festivity but Venice has, without a doubt, the most famous. 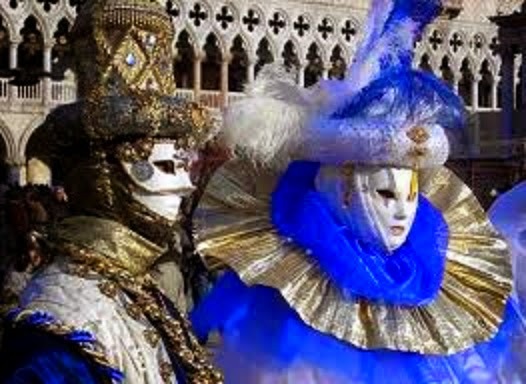 From January 31st to February 17th, Venice was filled with masked party goers, posing and preening, dancing and carrying on a long standing Venetian tradition. Almost everyone knows about that blow out, dress up party that they do so well, but did you know it actually began as a pagan festival called Saturnalia. Saturn was the Roman God of Agriculture and the Harvest, and Saturnalia was more or less their Thanksgiving. In the days of the Romans the festivities would start with a sacrifice (some say human but that’s debatable) at the Temple of Saturn followed by a public banquet. It was the only time of the year when slaves and masters could hide their faces behind masks and eat, drink and dance (and maybe some other things as well) as equals. 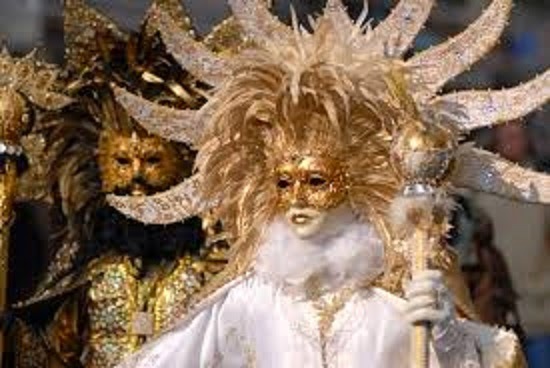 Carnival in Italy first shows up in the history books in 1092 AD. Wearing masks is newer, it only goes back to the 13th century. It must have been a weird kind of Carnival by our standards, because in 1268 the Council of Venice outlawed men throwing scented eggs at ladies. I have no idea how you scent an egg and I can't imagine why they threw them in the first place, but I guess guys have always been a little weird, even back then. The masks have their own story. Take the white bauta in the photo above. There was a time when Venetian law dictated that lawmakers had to wear a bauta mask during political meetings to protect their identity. 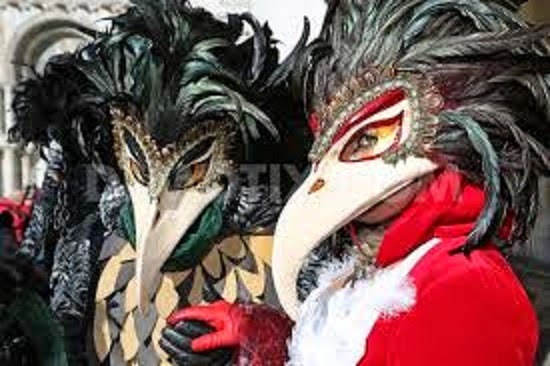 The bird mask began as a protective device worn by doctors during the time of the Black Plague. I don’t think they were quite as fancy as these, but the idea was the same. They would stuff the beak with rosemary and other herbs, thinking that by breathing in the aroma of the herbs they would be protected from that terrible disease. Because of all the hanky-panky that went on during Carnival, and still does, the Italian government has tried for centuries to restrict celebrations and ban the wearing of masks. They want to see who the hanky pankyers are so they can lock them up, but I think they’ve just about given up on that idea. They finally realized it just wasn’t going to work. 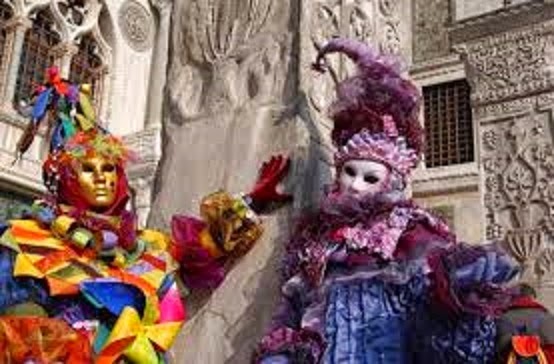 Unlike Carnival in Brazil which is celebrated with a huge parade with floats and dancing girls, in Venice the people are the show. Men, women and sometimes children parade up and down and all around Piazza San Marco, and pose for photos on Venice’s famous bridges. All in elaborate costume and masks of course. In fact what's the point of going to Carnival as a mere on-looker, that’s no fun at all. With all the mask shops there are in Venice, it’s easy to get the real thing rather than a far-eastern import, just head for traditional mascarei such as Ca’ Macanà (Calle delle Botteghe 3172, Dorsoduro 0039 041 277 6142; camacana.com), Tragicomica (Calle dei Nomboli 2800, San Polo, 0039 041 721 102; tragicomica.it) or Papier Maché (Calle lunga Santa Maria Formosa 5174B, Castello, 0039 041 522 9995; papiermache.it). These artisans produce some dramatic creations and you’ll soon be part of the spirit of Carnival. 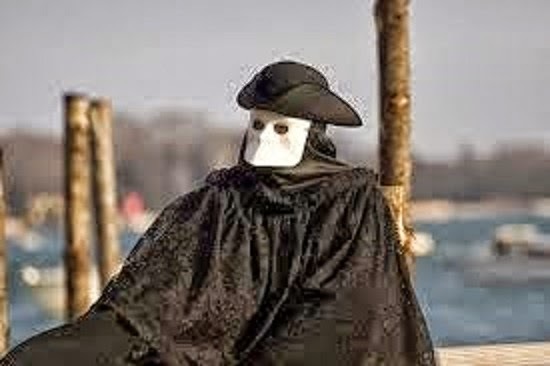 Just as dramatic as the masks are the voluminous cloak that Venetians wrap around themselves against the winter winds. The are called tabarri (tabarro singular) and can be purchased from these shops: Monica (Calle Scaleter 2235, San Polo, 0039 041 524 6242; monicadaniele.com). Atelier Pietro Longhi (Ramo secondo Saoner 2671, San Polo, 0039 041 714 478; pietrolonghi.com) rents and sells historical costumes, from the most simple to the very elaborate. Banco Lotto N°10 (Salizada Sant’Antonin 3478B, Castello; 0039 041 522 1439; ilcerchiovenezia.it) sells beautiful reproductions of historical costumes made by the inmates of Venice’s women’s prison. After the gondola and boat parades along the Grand Canal, and after the confetti and multi-colored streamers that fly through the air, Carnival in Venice ends with a great fireworks show, and grand galas in elegant Venetian palazzi. You have to hand it to the Venetians; they really know how to throw a party.